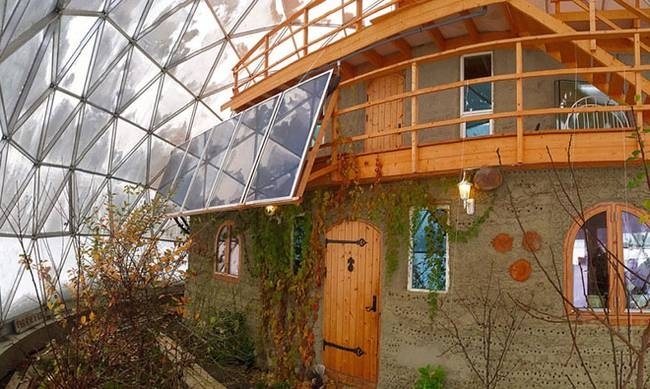 Beautiful home, cocooned in a Geodesic Dome to protect it from the bitter cold. 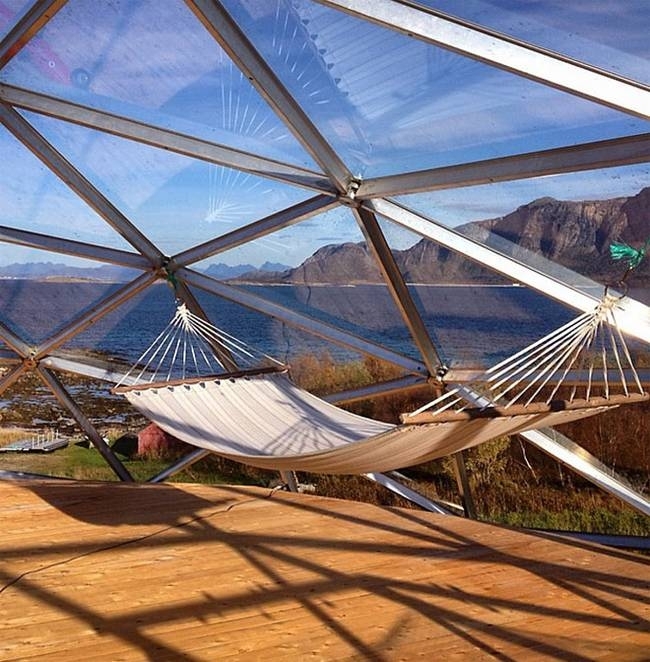 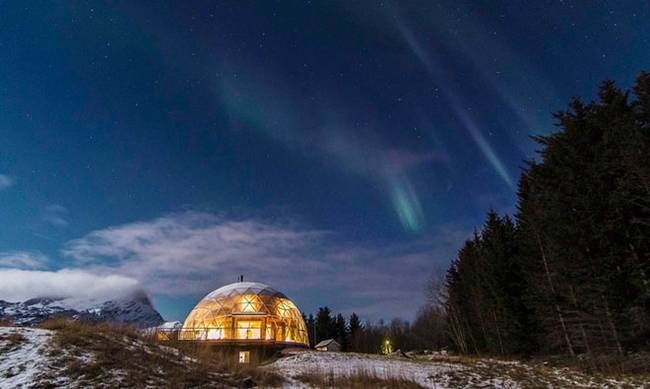 Hjertefølger's, are a family of six, that live in northern Norway and have built they home under a protective glass dome, that allows them to withstand the frigid temperatures, that the Arctic Circle can impose on that region. 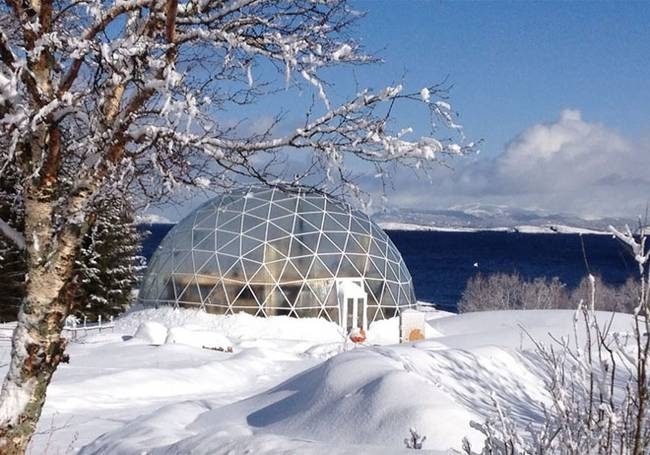 Thanks to their outer skin, the Hjertefølger's are able to grow produce, all year round. 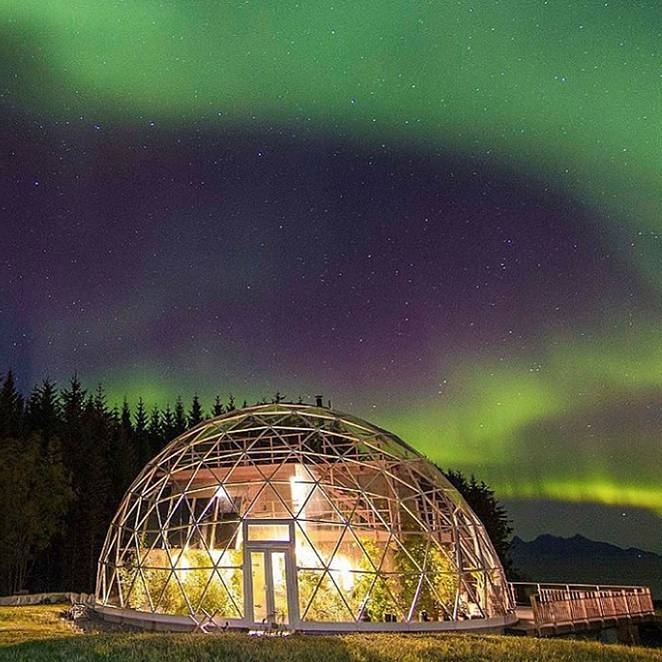 This is how Ms. Hjertefølger describes herself: Environmentalist, Vegan, Yogini, Comfort zone expander, Permaculturist, Freethinker, Norwegian and mother of 4. 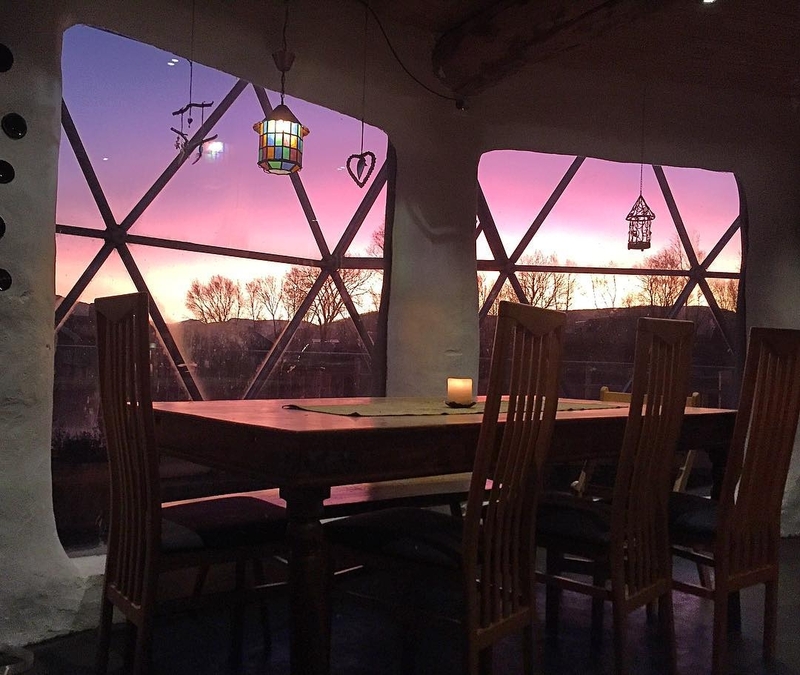 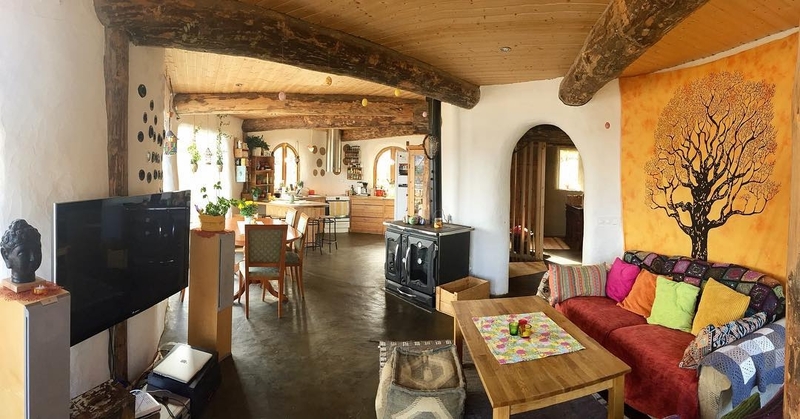 I have included a video below, to show just how peaceful and beautiful it looks & feels, inside the dome and the cob house, plus plenty of pictures to imagine ourselves in their place + more details. 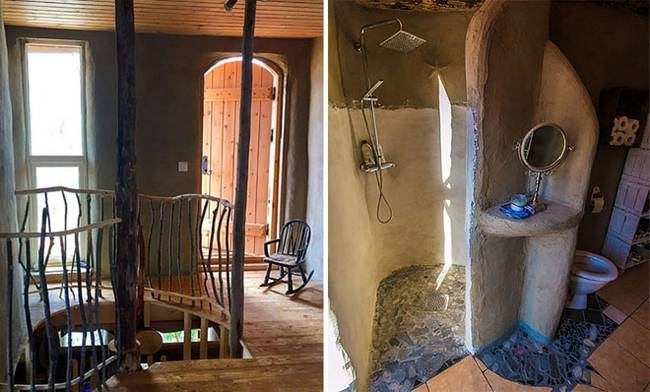 Description of the structure of the home from treehugger. 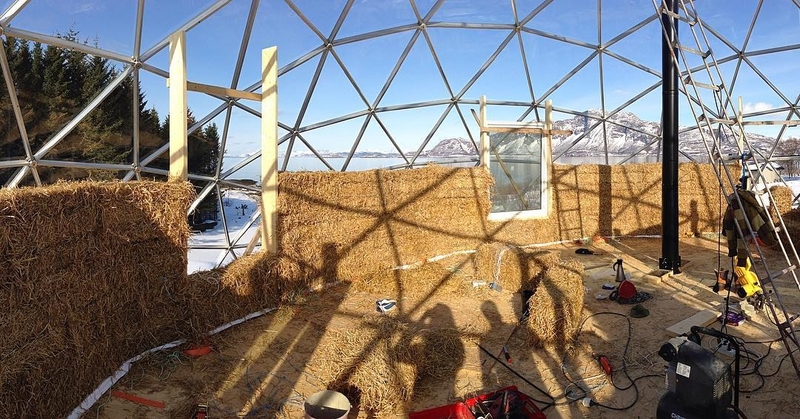 "Made out of a mixture of earth, straw and sand, cob is a natural building material that is fireproof, earthquake-resistant and cheap. 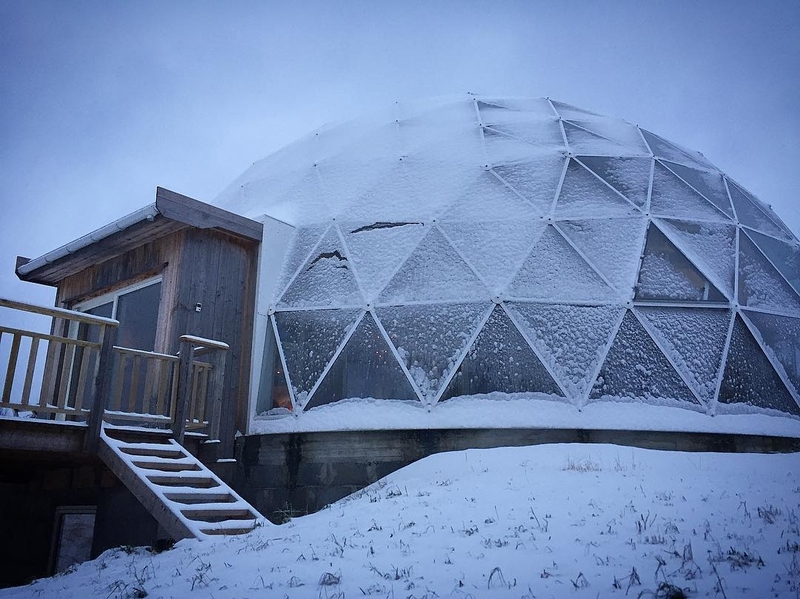 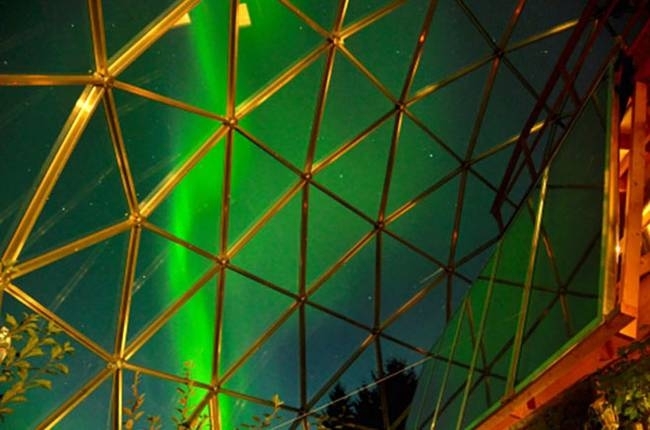 The 49-foot-wide dome, built by Solardome, has 360 panels of 6-millimetre thick single-paned glass that is designed to withstand the high winds and heavy snow loads that are typical of this region. 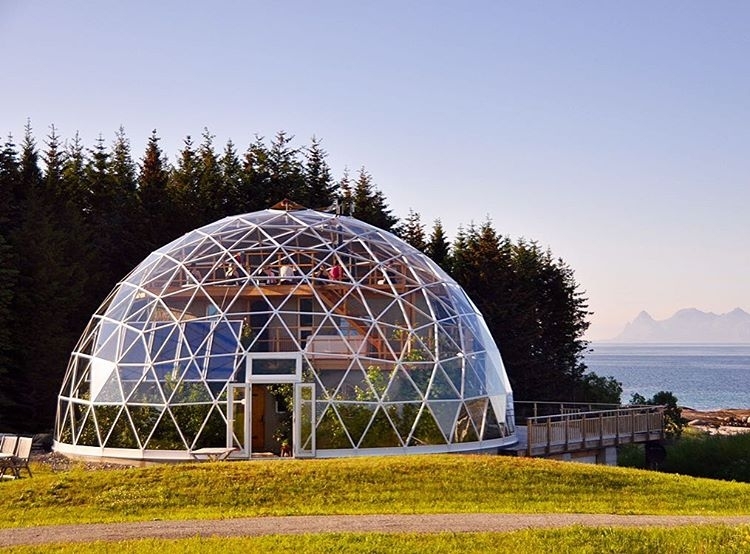 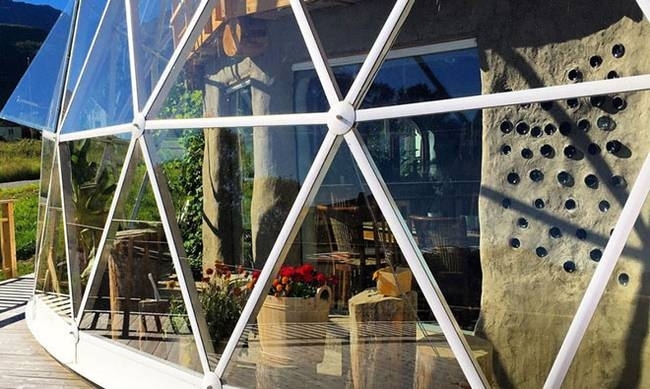 The recycled aluminum frame has a structural lifespan of 100 years and is low-maintenance; its domed shape translates to a 30 percent material savings compared to a conventional orthogonal building. 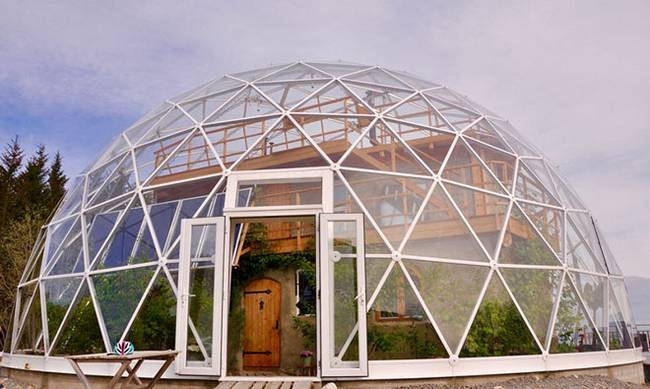 There are 11 operable windows in the dome to allow for ventilation." 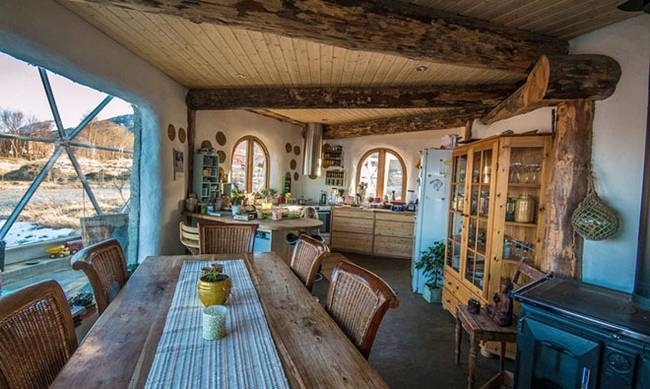 Hjertefølgerne / The Heart Followers.